In libraries that have minimal budgets barcoding the books is a costly exercise. In this featured post we would like explain a procdure that brings down the cost by 6 times. Please note that all the costs mentioned below are an approximation. You are requested to inquire the costs locally. Let us take an example of a library that has 10,000 books. You need atleast 2 barcode stickers per book. Hence for 10,000 books you need 20,000 barcode stickers. A barcode printer which must be specially purchased by the library costs approximately 500 USD. Though the second procedure is 5 times cheaper it is more labor intensive and also compromises on the look and feel part. But still its very cheap and a boon for libraries that have less or no funds. 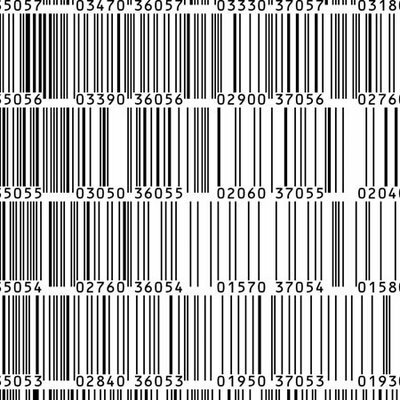 We will now see how barcodes can be printed on A4 sheets in NewGenLib. Before generating the Barcode labels the following installations must be done. Importantly IDAutomation has a free barcode font, this must be installed. Step :- 2. How to Geneate Barcode in NewGenLib Application ? Go to NewGenLib Application --> Technical Processing --> Print spine label and Barcode labels.